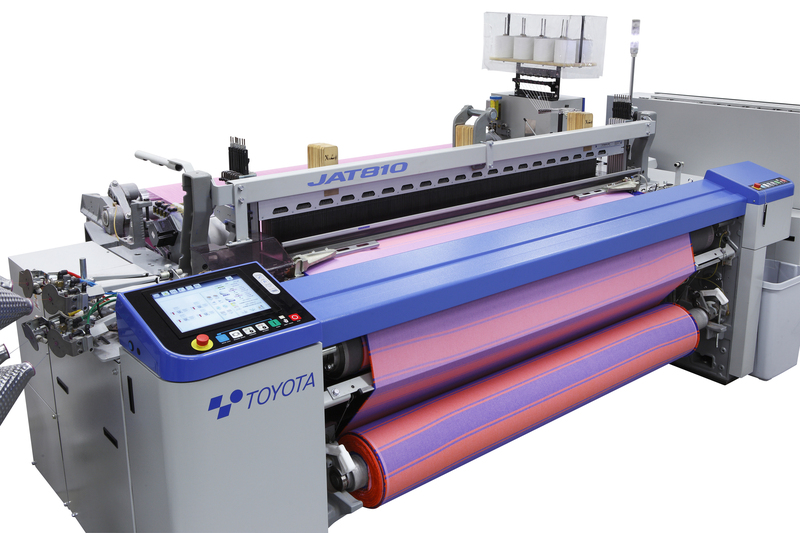 Introducing the JAT810--the Evolution of the JAT710, with the World's No.1 Market Share, to Meet the Needs of the Times. 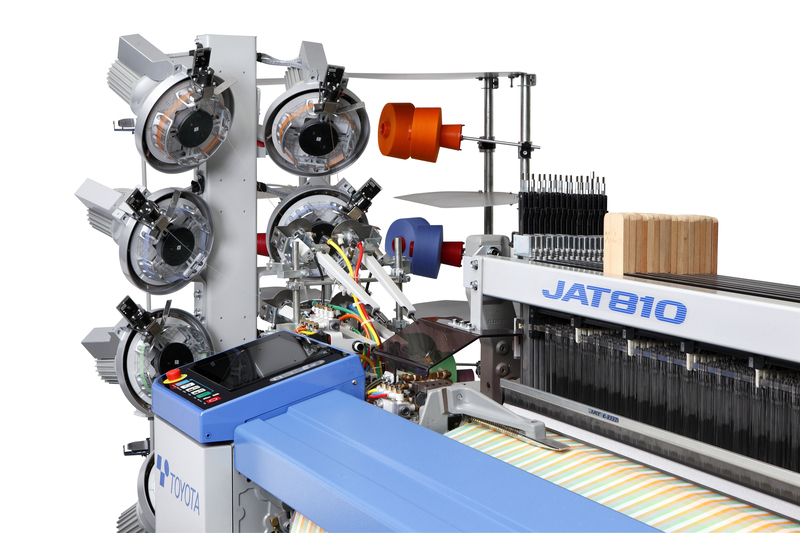 The JAT710 has been a best-seller since its debut in 2003, and has gained a loyal following among a great many customers around the world. 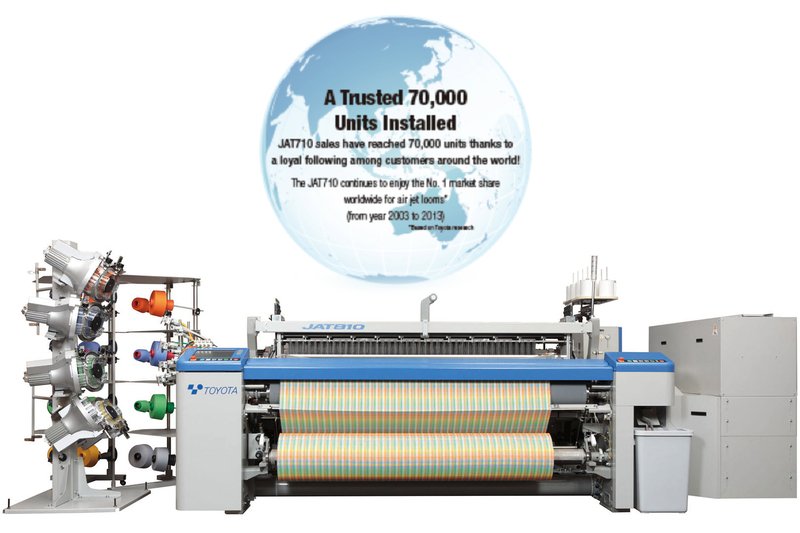 The new JAT810 Air Jet Loom has inherited its legacy of superb performance, while pursuing even greater energy savings and versatility, combined with thoroughly thought out ease of use. 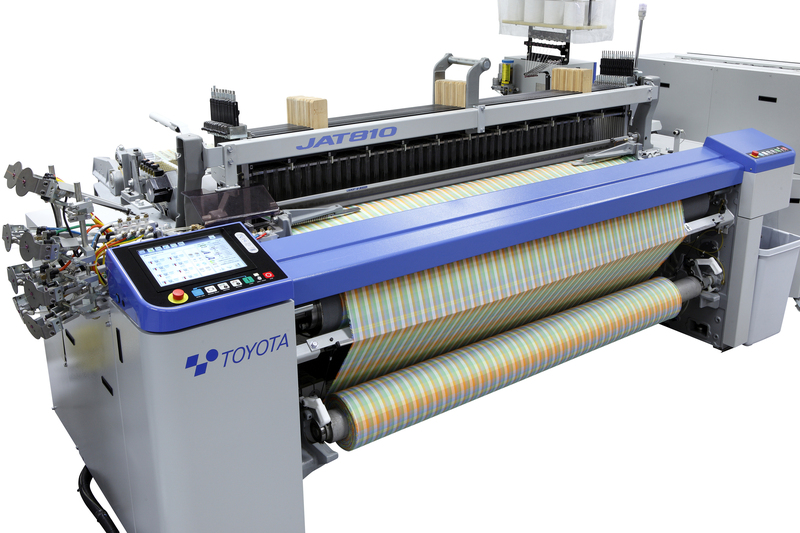 Based on the underlying design concept of the JAT Series of “Weaving the highest quality fabric at the lowest possible cost,” the JAT810 boasts a diverse range of original Toyota features, including an Air-Saving System that reduces energy consumption and the new “E-shed” electronic shedding motion. 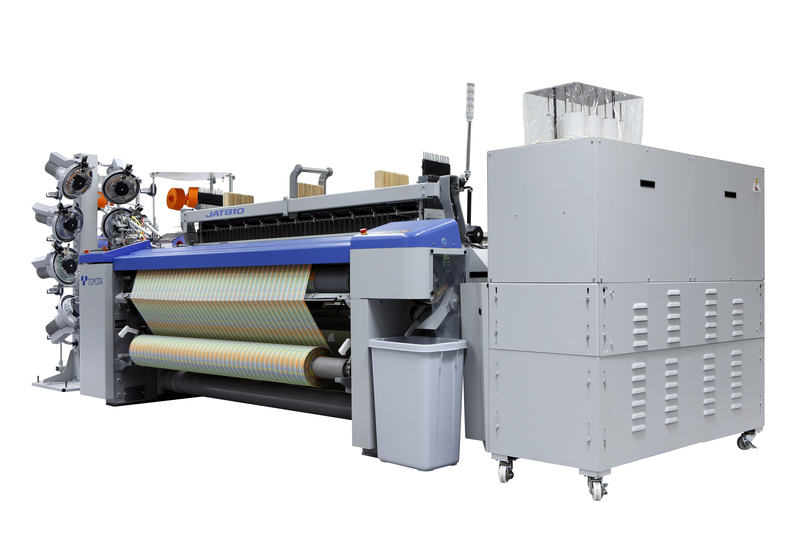 In addition, a newly developed function panel and a factory management system dramatically improve operability. 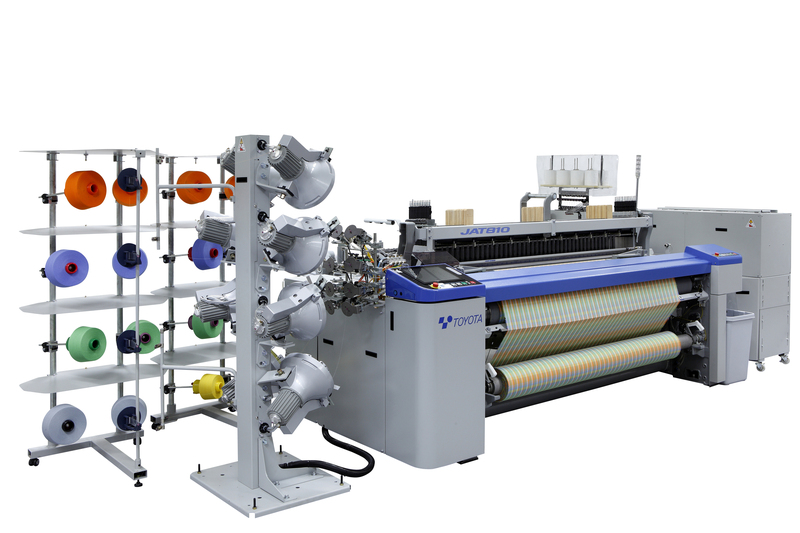 The JAT810 Air Jet Loom has evolved with the times and is designed to meet all your weaving needs. 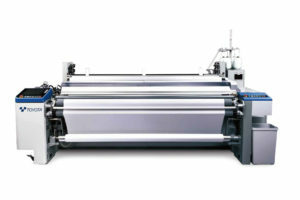 Start, stop, forward/reverse slow motion activated by push-button operation. 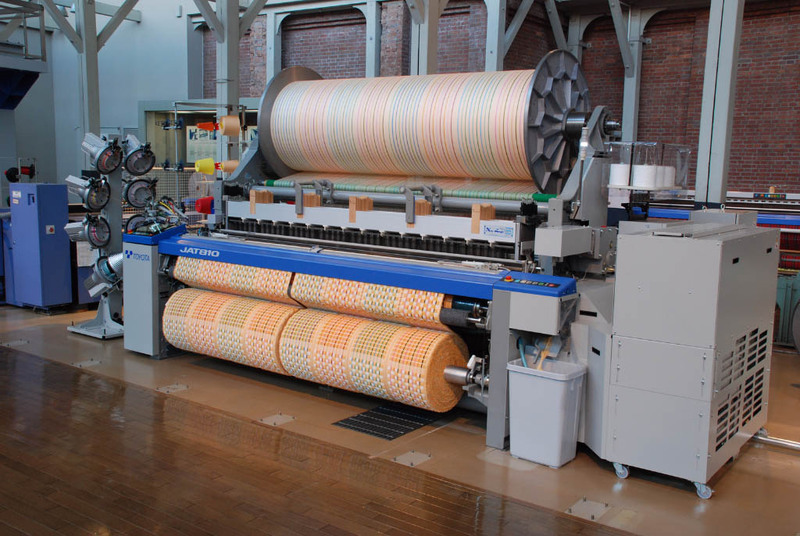 1) Reed spaces of 260 cm and 300 cm are only available for terry machines. 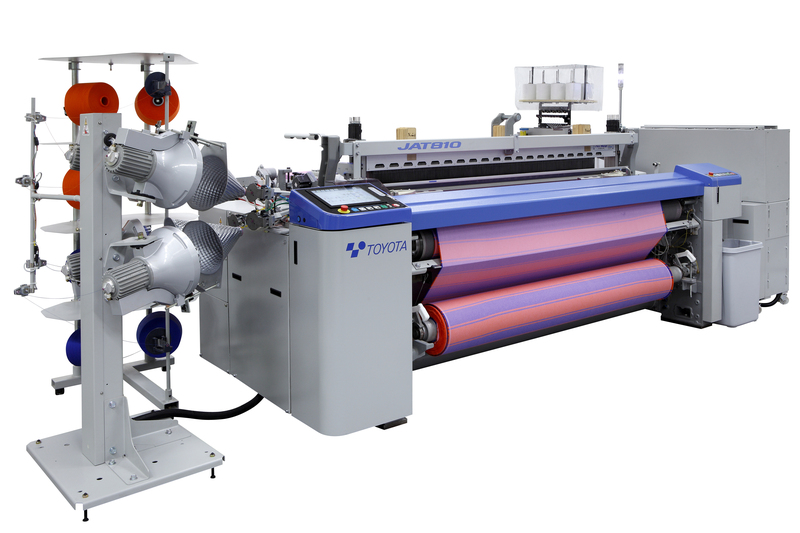 2) For further details and information concerning other combinations of options and variations, please contact Toyota or your Toyota representative. 3) Drawings, data, and photographs that appear in this catalog are subject to change without prior notice. For countries outside the U.S., please click the below link to reach an agent in your area. 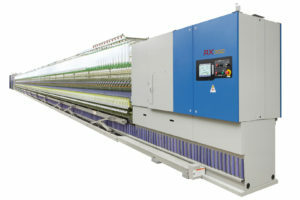 Toyota has developed a proprietary reed that allows weft insertion at low pressure, a new high-efficiency valve with improved reliability and service life, a new front-injection stretch nozzle that can be used without damaging the reed, automatic pick controllers (ATC, AFC*, APC*, EPC*) that provides abundant control devices promote stable weft insertion at high speeds, and a new tapered sub nozzle for optimized taper angles allow even more stable weft insertion at a lower pressure. 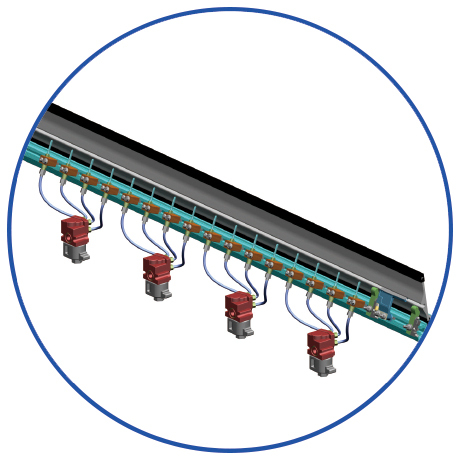 Flexible shedding specifications (for example, 4 shafts can be added to a 12-shaft machine). 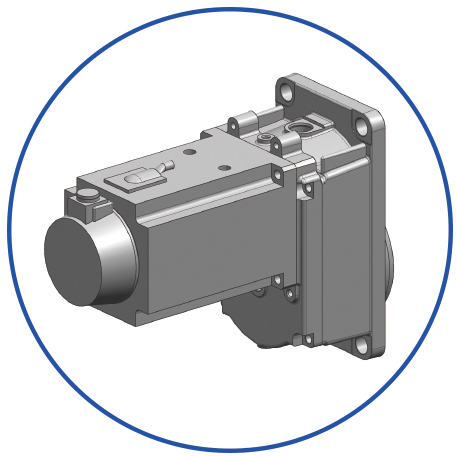 The number of working shafts can be increased simply by adding servomotors. 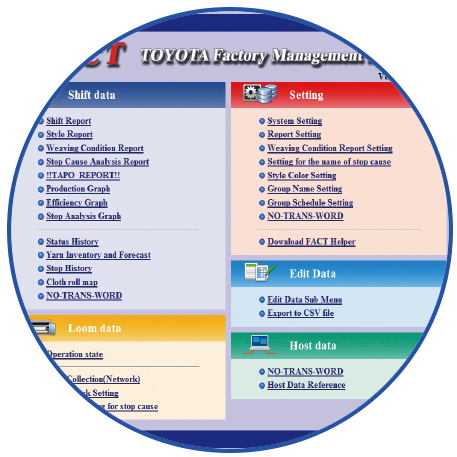 Toyota developed this new factory management system based on the Toyota Monitoring System (TMS), which was well received in the JAT710. Data such as shift reports and stop analysis graphs currently available can be displayed, as well as various breakouts showing operating status according to actual factory layout.